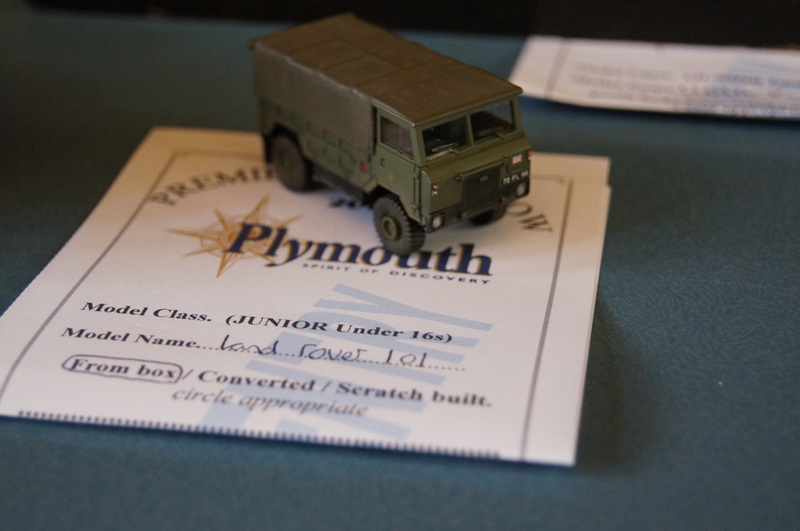 Plymouth's Scale Model Association was formed in 1984 by 4 model makers who wanted to explore all avenues of model kit building without being tied to any particular type. We have always encouraged new kit builders no matter what their interest or ability and will always offer advice or suggestions to each other. We have always met fortnightly with one meeting each month being a friendly competition where we bring in a completed model kit for other club members to judge against other entries. We also agree a theme and prepare models for the Annual Scale Model exhibition which we hold in Plymouth's Guildhall every April. 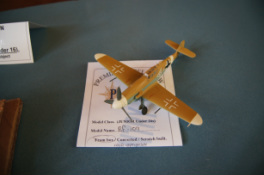 Initially the group met at the Kitto centre in a small room where the models made included aircraft, Sci-fi and model cranes. Membership grew and the location became too small so a move to Tothill Community centre was implemented. Increased charges at the centre required another move and our present location was selected. Woodlands Fort is opposite Transit way which is ideal for all members to reach from the local area and Cornwall. Over the years our membership has fuctuated from as low as 3, however at present we have a core of regular attendees of 10. 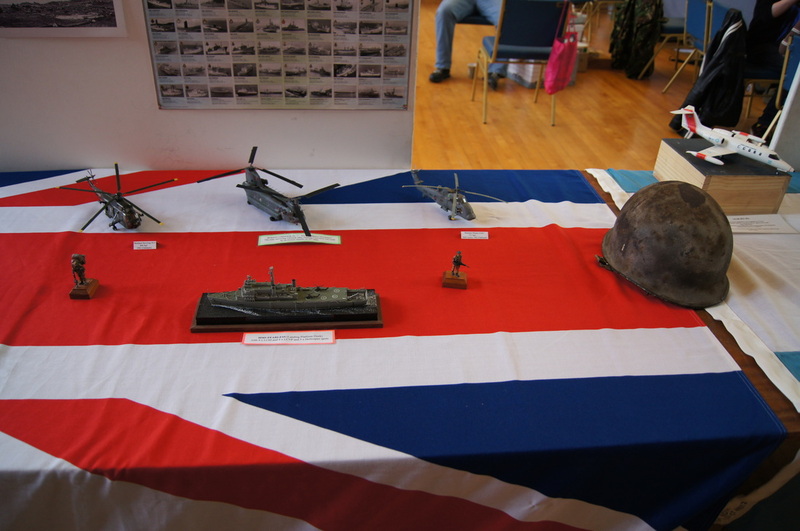 This group has different interests from Royal Naval aircraft to present day miitary equipment. Whether it's model figures, aircraft, ships or military vehicles that are built the skills and abilities of our membership are varied. Several members have been successful at other shows by winning model competitions they have entered. We are always happy to have new members join and our meeting fees are very reasonable , only £1.00 per meeting. We attend scale model shows across the South West including Weston-Super-Mare, Torquay, Penzance, Bath and Yeovilton. 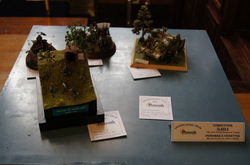 There is also our own annual scale model show to organise which is held in April each year. The show is co-hosted with other local model clubs. Although the show is self financing we also collect for local charities which include the Devon Air Ambulance and the Royal British Legion. 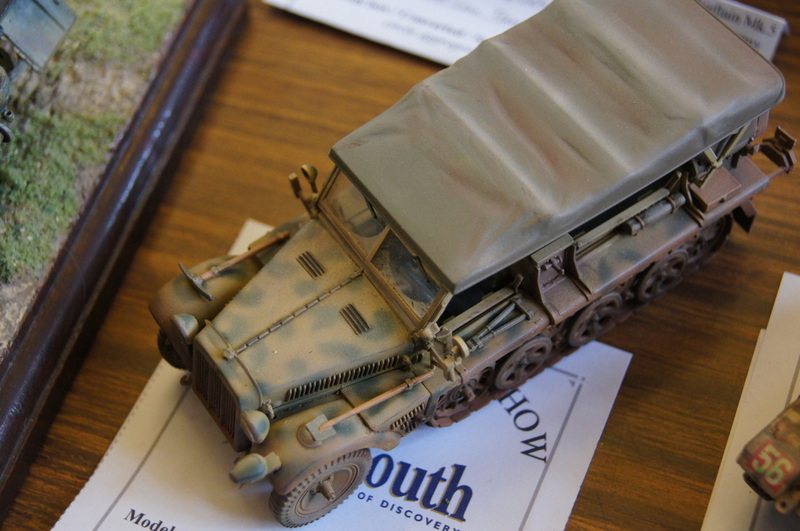 Although the club members accept modelling is a solitary hobby it is good to be able to discuss modelling with a group of like minded people who just may be able to provide that missing piece of information to complete a project that has stalled. It also gets all of us out of our hobby room whether its indoors or out to talk about subjects our other half may not understand.